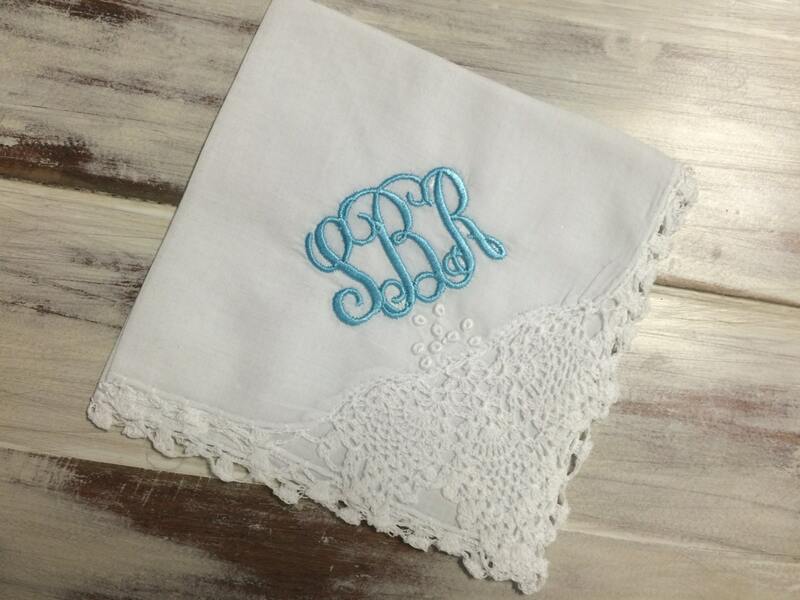 This listing is for an Embroidered Monogrammed Lace Handkerchief for your something blue! 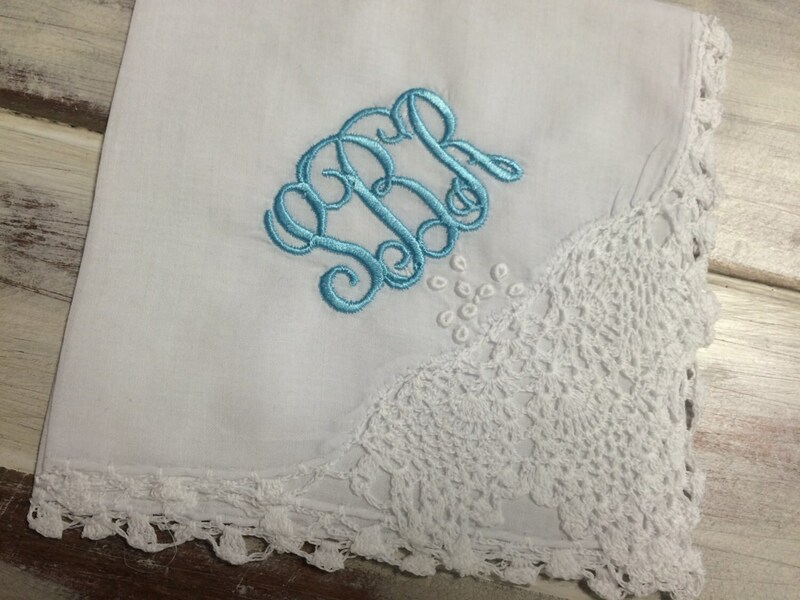 This white hanky has beautiful details including one lovely lace corner and lace trim. WANT ANOTHER COLOR? JUST ASK! Bling hankies also available! *listing is for hanky in first 2 photos. 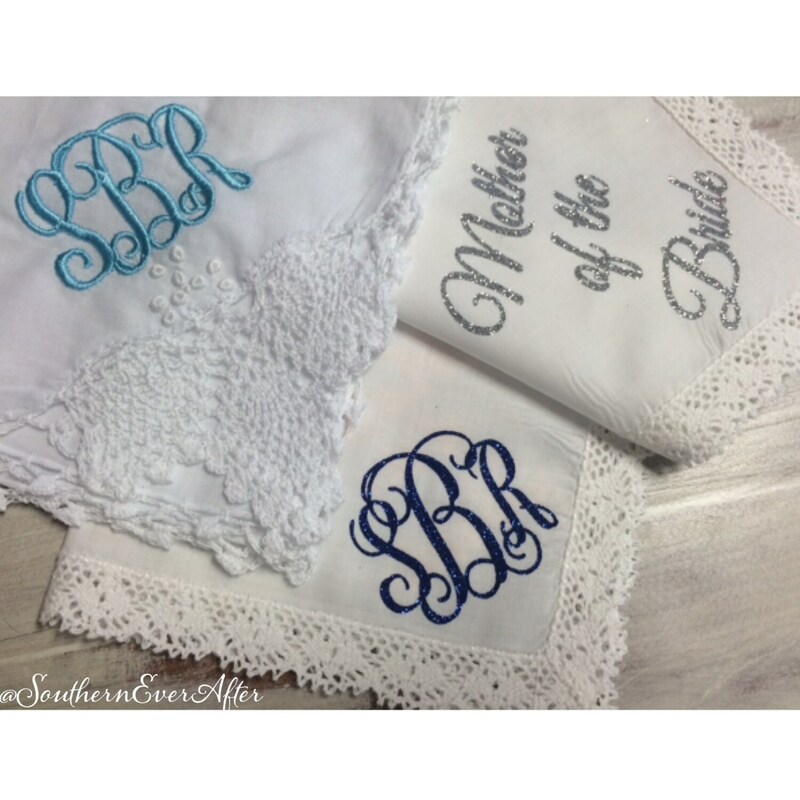 **Monogrammed garters can not be refunded after 48 hrs of purchase date due to the nature of this item.